Aydin Büyüktas is a prominent emerging Turkish photographer and digital artist rapidly gaining international recognition. Büyüktas draws inspiration from his love of science fiction. 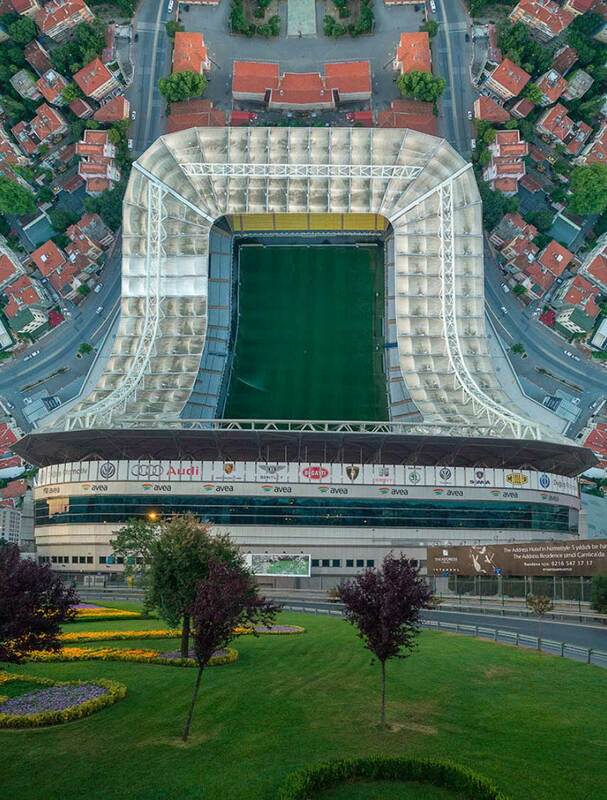 He creates warped landscapes using drone photography featuring scenes as diverse as Turkish bazaars to American used car lots. In this series, Flatland, works appear to curve infinitely upward and outward without a visible horizon evoking a surreal and disorienting sensation. The artist aims to induce a surprising visual irony that leaves the viewer with a feeling of bewilderment and romance at once. Büyüktas is frequently featured across a broad spectrum of media from prominent arts and culture magazines to high tech and business focused publications. He exhibits his work in Turkey, the US and Germany, including an exhibition at the Museum fur Gestaltung in Zurich. Büyüktas was the recipient of the 9th Annual International Color Award in 2016, and the Mansion Prize at the Yeni Arayışlar 3 Contest in 2015. He was also a finalist at the 7th Pollyx Awards in 2015. The artist currently lives and works in Istanbul with his wife and daughter.